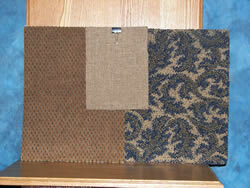 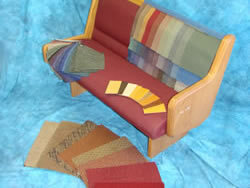 We offer FREE – Expert PROJECT Design and Color Coordination. Step 1: Call us at 800-334-7611 to set an appointment. Step 2: Let us come out, measure and survey the building so we can best assess your needs. 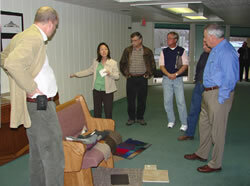 Step 4: We will be glad to make a floor plan for you (Free of charge). 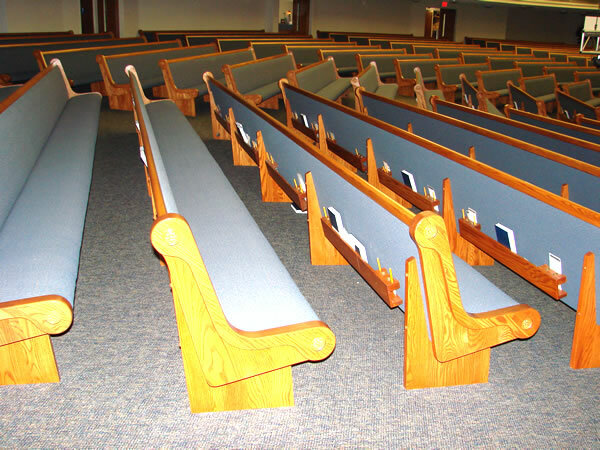 Whether your church is very large or more traditional. Step 5: We can talk about colors and designs. Whether your needs are church pews, chairs or both. 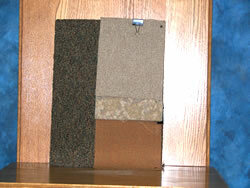 We will supply samples for you to discuss. 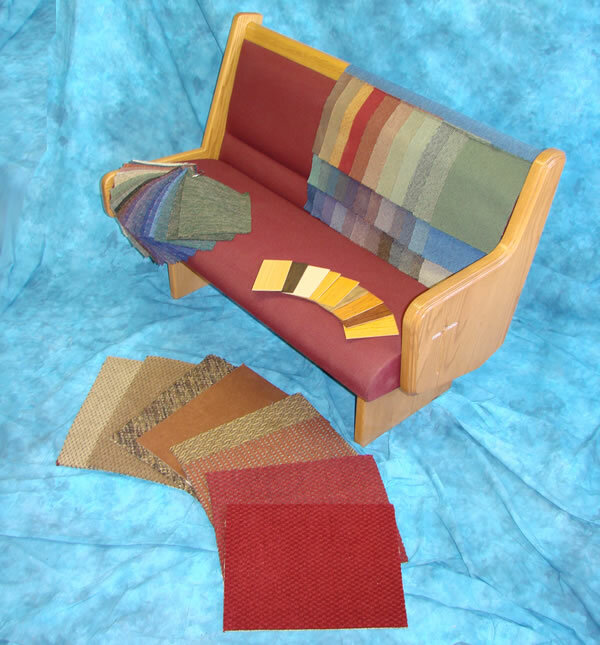 Step 6: We will be more than happy to make a color board that will include the colors of pews, carpet & wood tones that you have chosen. 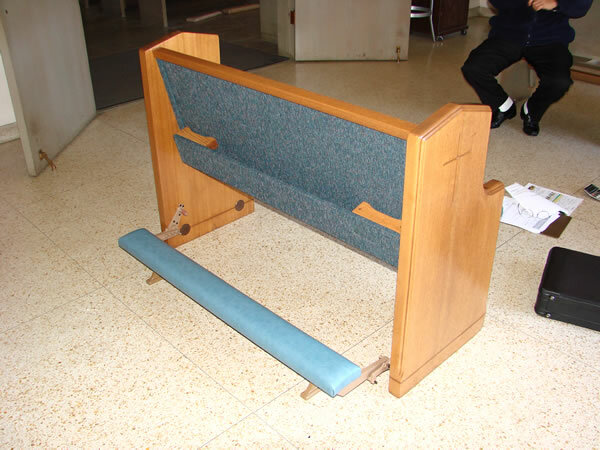 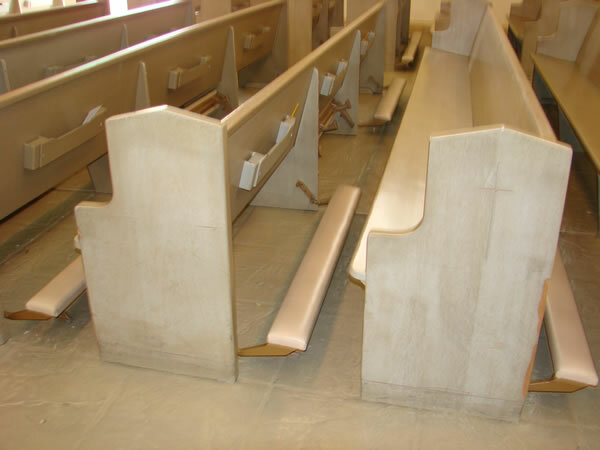 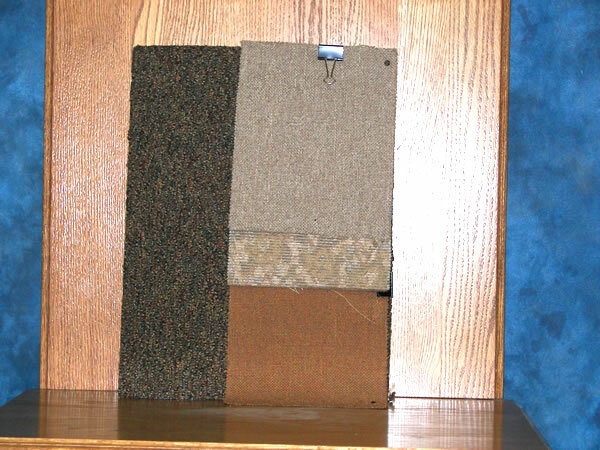 Step 7: To show what your existing pews can look like, we offer the re-production of a sample as shown below when you consider revitalizing of your existing pews. 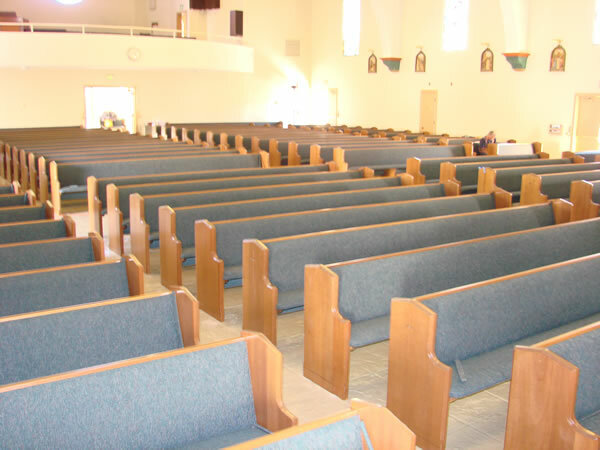 Step 8: Enjoy the comfort and elegance of totally new or refurbished like new pews that will enhance your church for generations to come. 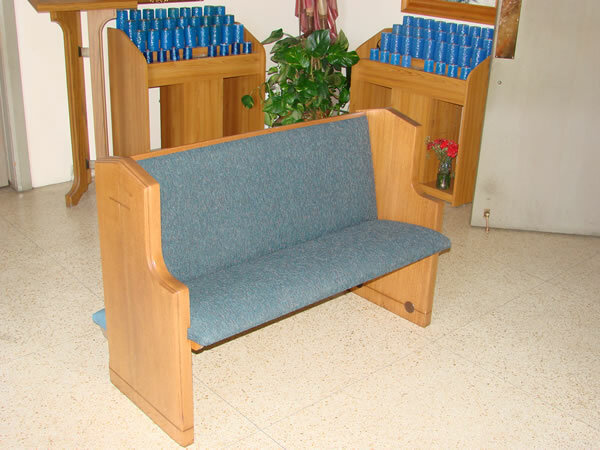 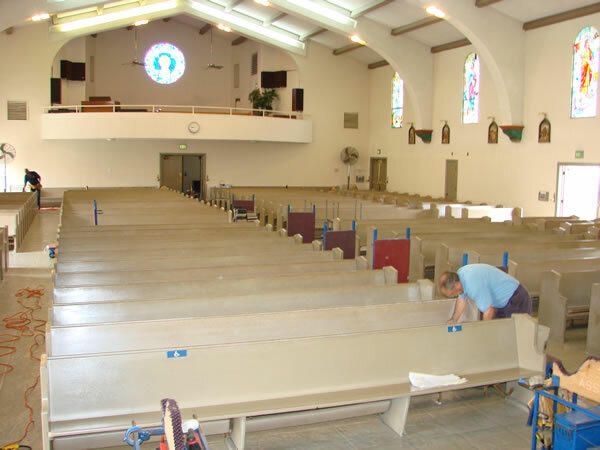 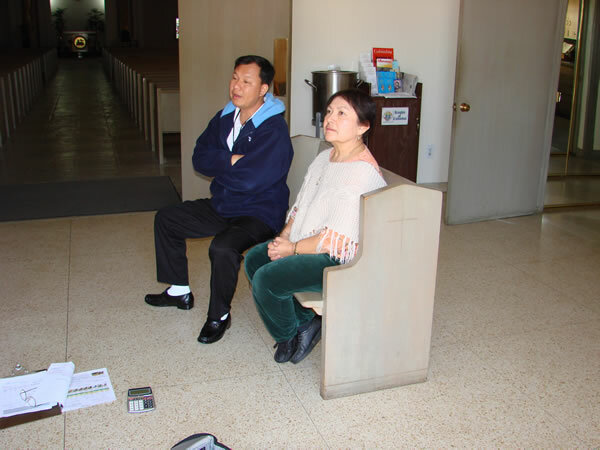 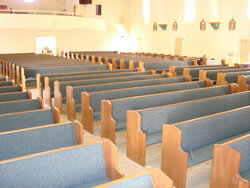 Or enjoy a whole new look with new pews produced especially for your new or existing church. 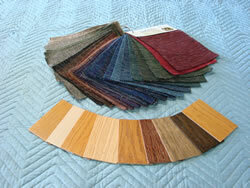 A VERY IMPORTANT STEP: If possible please visit our factory. We look forward to you visiting our showroom where we have dozens of pulpits. 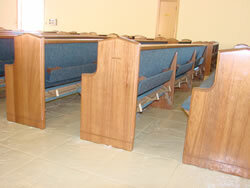 lecterns, communion tables, pastors chairs,along with church pew and chair samples to test and view.